The three most commonly misplaced items that everybody has and nobody likes losing are keys, wallets, and phones. Wouldn’t it be great if you never had to worry about losing these items ever again? 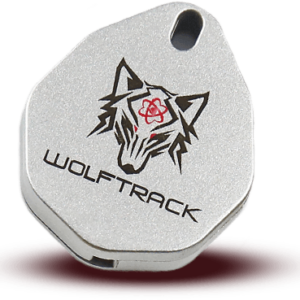 It’s possible, due to innovative new Bluetooth finder tags created by BlaqWolf. 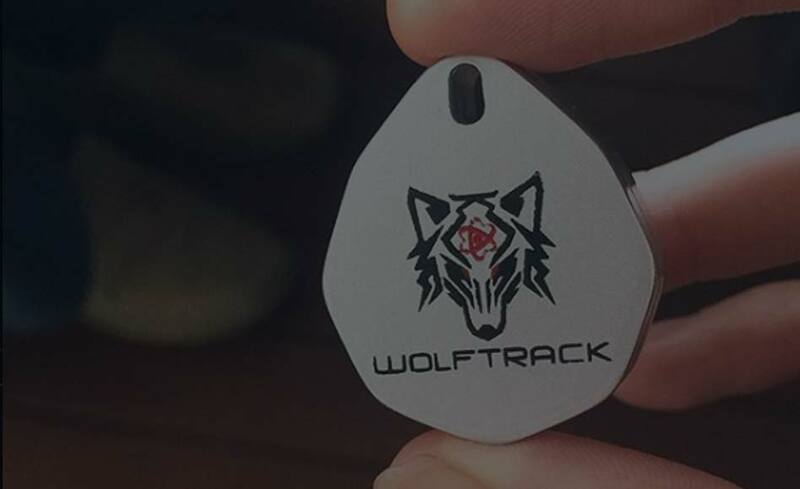 These incredible little tags can broadcast their location to a range of 110 metres, something no other tag currently on the market can do. 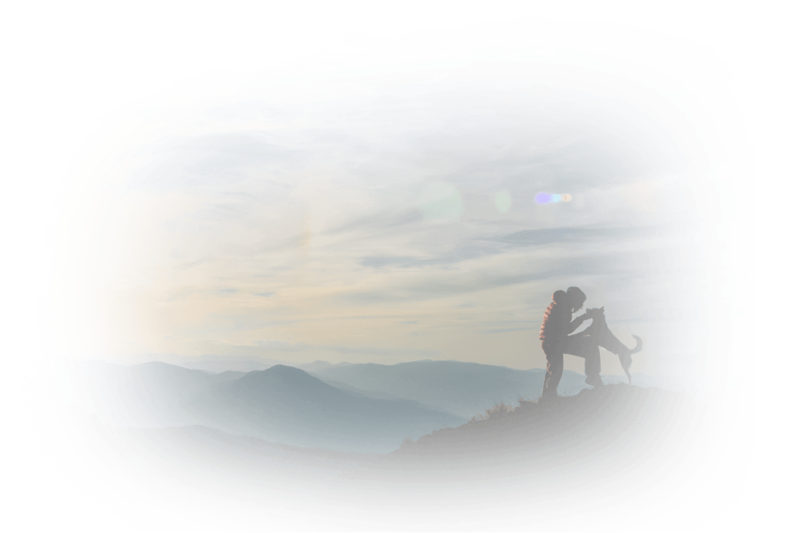 Not only can they do this, but they can also use a GPS connection to help you locate lost items even when they’re out of range. This means you locate items virtually anywhere on the planet provided there is another BlaqWolf user within 110m of the missing item. This system doesn’t use the cellular network to communicate, as everything works through Bluetooth and GPS, so using it won’t add anything extra to your phone bill. You’re not limited to just finding keys, wallets, and phones, either. You could also put them on computers, toys, cameras, gadgets, pets, children… all kinds of things that have a tendency to get lost when you’d really rather they didn’t. 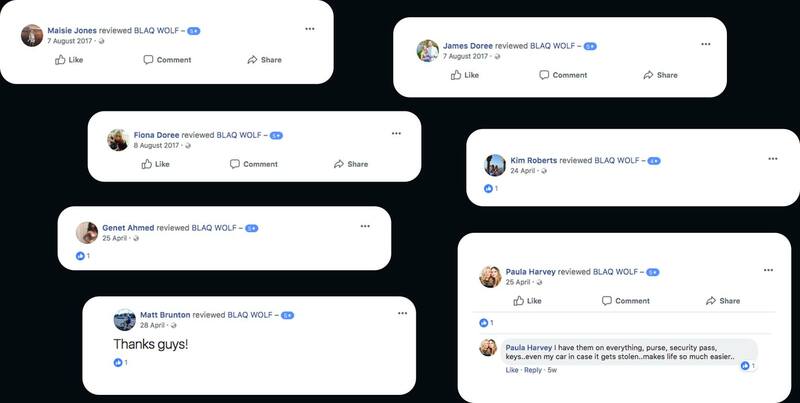 BlaqWolf will help you keep them safe by letting you check that things are where they should be, and helping you find them when they’re not. There actually many thousands of different kinds of items you could use BlaqWolf with, and when something is really important to you, this is a simple and inexpensive way of eliminating the need for worrying about losing it. Of course we’re talking here about accidental loss. If somebody is really determined to take your stuff, they’ll find a way to do it. No technology can offer a perfect security solution, but certainly using these tags provides far better protection than using nothing at all. 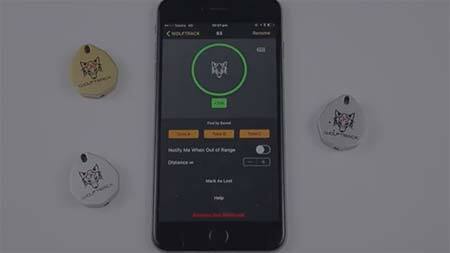 BlaqWolf helps you know where the things most important to you are, whenever you need to know. 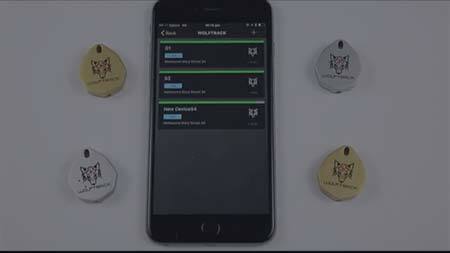 We’ve already talked about how BlaqWolf can help keep your most treasured possessions safe, but something else you should know is this technology can also help keep you safe. 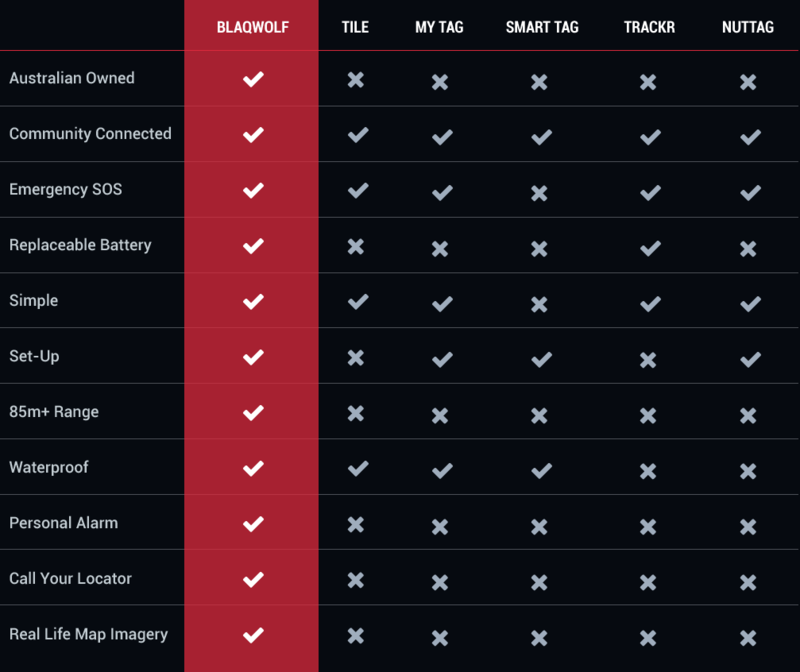 Every BlaqWolf tag, for example, has a built-in personal safety alarm. If you find yourself in a threatening situation, you can simply activate the alarm and a loud, piercing siren will emit from the device. It is super effective against humans, dogs, cats, bats, rodents, and many other animals. What if the reason your keys, phone, and wallet are lost is because you are carrying them and you are lost? 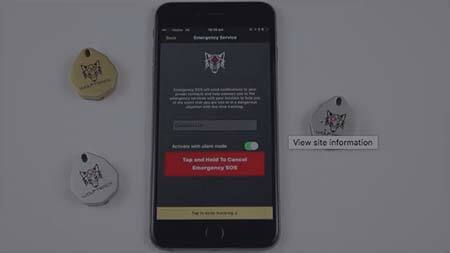 You can activate an SOS signal from your BlaqWolf device that will alert emergency services and help them find you. 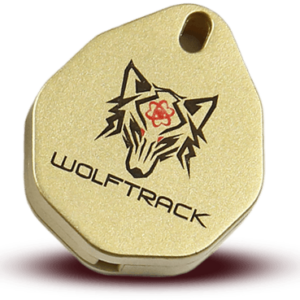 Currently the BlaqWolf key, wallet, and phone finder devices are available in either a silver or gold finish, which both look really classy. Our awesome BlaqWolf logo imprinted on the exterior just makes them look even better. Everyone loses things from time to time. Everyone, that is, except those who own BlaqWolf security tags and use them. Joining that elite club is easier than you’d probably expect. It doesn’t cost thousands of dollars, and there’s no weird initiation ceremony. All you have to do is safely and conveniently order your BlaqWolf products online from our website, and within almost no time at all, they’ll arrive at your door ready to help you enhance your life. You can buy individual tags, or take advantage of our extra value bundle deals and save even more. Whatever you do, get one today, and make the last place you look when you lose an important item the first place you look. Australians spend an estimated 60 hours each year searching for items like phones, wallets and keys. Our locators and their industry-leading bluetooth range mean you can save time and stop frustration. When the batteries go out on one of your items you’ll want to get it back up and running as soon as possible. The batteries on our devices are easy to change. If you feel like yourself and your everyday property is at risk (phone, wallet, keys, etc.) then you can use our app to dispatch a distress signal to the emergency services and the emergency contacts that you’ve assigned in your phone. You can establish a boundary around your home and whenever a tracker leaves that boundary you will receive an SMS. 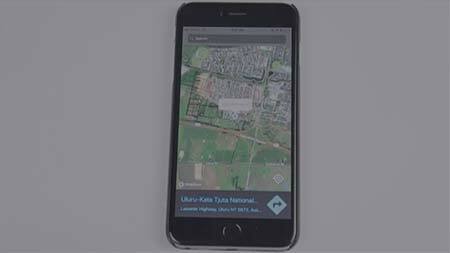 If one of your items goes missing you can track its whereabouts using pin-point accurate GPS tracking on your smartphone. 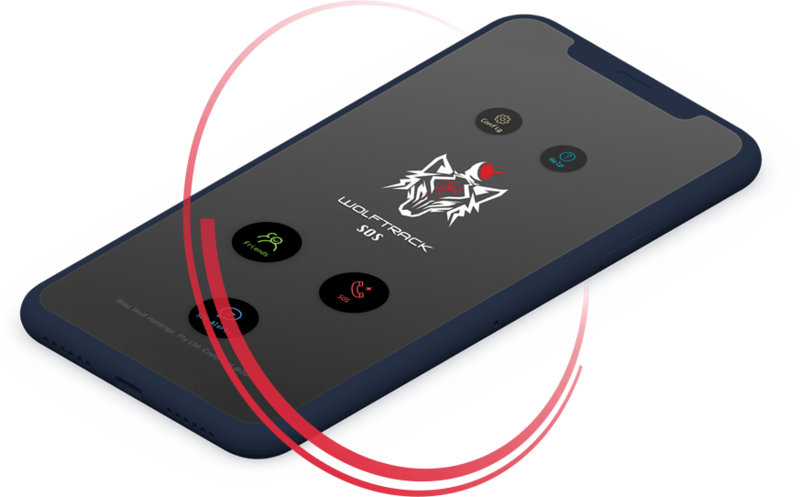 If your locator goes out of reach do not fear: when your locator passes within 110m of another BlaqWolf user you will receive a notification right away. Accidents happen and items can become lost outside in wet conditions. Our locators are tough and water resistant so they will not malfunction. Our batteries last up to a year so you do not have to constantly worry about the status of your locator. Just change them once a year and they’ll work as new. 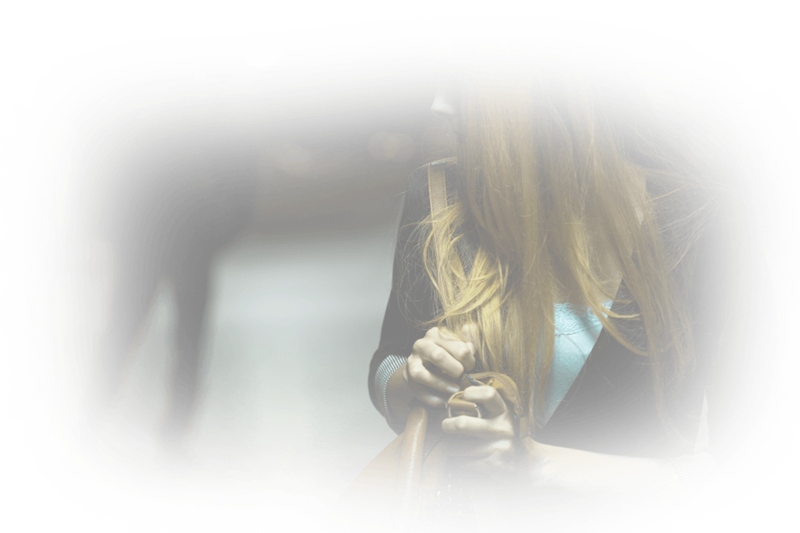 If you find yourself and your possessions in danger our app can be used to emit a powerful alarm that will draw attention to you and perturb would-be criminals. Do you have an item with a locator attached but can’t find your phone? Simply double tap it to find your phone. Our customers trust us with an important role: protecting the things that matter the most to them. You will never have to doubt the quality and workmanship that goes into creating our products. We want you to be as happy as possible so if you find – in what would be a very rare occurrence – that there’s an issue with your product we will replace it straight away. 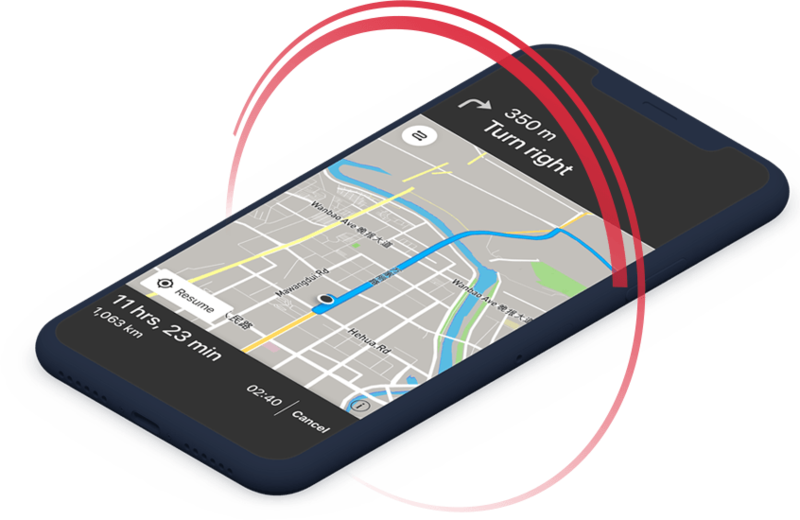 With just a tap on your smartphone you can find out exactly where you are in the world with our GPS app. This highly-functional and intuitive application can help you to orient yourself and your loved ones so that you and your items never get lost again. Whatever your outdoors activity this has to be on your app drawer. When you leave the house there’s a good chance you’ll always have three valuable things with you: your wallet, phone and keys. Taking these with you can put them at risk of being stolen or lost. If you find yourself in a dangerous situation our personal security app can help you to protect yourself and these important items. 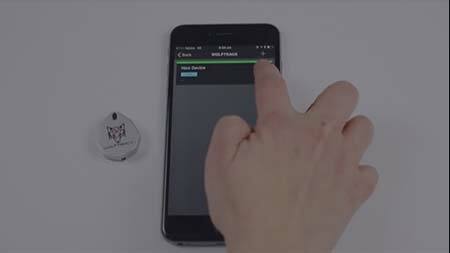 Call for help and set a loud alarm in just seconds with this app. Every day that passes without your items being protected is another day they are at unnecessary risk. You should be sure to see for yourself exactly how our products can help you to keep your items safe. You need to be sure that you always take the best possible care of your belongings and protect them as keenly as possible. Using our tracking technology you will give yourself the best chance of ensuring that your belongings go nowhere. Using BlaqWolf applications your are capable of tracking your belongings easily and quickly. These three items have been voted as the most common that accompany Australians each day. They are valuable, small and easily lost. A difficult combination. This is why it’s so important for you to use every tool available when it comes to protecting and tracking them. Our trackers are the best in the industry. They offer replaceable batteries, the best range and supreme build quality. Simply attach them to your items and never lose them again!